You may of have seen the Paramount Automatic Cleaning System touted on our website as a way for your pool to clean itself with the patented PVR cleaning system. We know, the claim sounds too good to be true, but it isn’t. Now with advanced technology, your pool can clean itself including steps, benches, ladders and spa areas so you can sit back, relax, and enjoy life more without worrying about the cleaning aspect of pool ownership. Each PVR system has a a series of 12 unique position ratcheting nozzles that is are capable of rotating to reach difficult spots in your pool. Without any moving parts, each nozzle is accompanied by a lifetime warranty. The above cleaning nozzles are strategically placed and built right into your pool’s shell When not in use, they are basically impossible to see as there are no vacuum hoses floating in your pool. Instead, these embedded nozzles, available in a range of colors, are custom designed to accommodate cleaning your pool’s specific shape. The PVR system is highly effective and efficient. 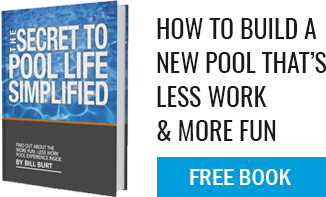 It cleans 99 percent of your entire pool and also reduces heating costs. In addition, the high efficiency circulation resulting from PVR is independently certified to save you up to 30 percent on chemical costs for keeping your pool clean. Want to know more? Come talk to our team about why a self-cleaning pool may be right for you or learn more by visiting their site here.